This resource guide has become one of the Children’s Bureau’s most anticipated publications each year, offering trusted information, strategies, and resources to help communities support and strengthen families, protect children, and promote well-being for children and youth. This Resource Guide is the product of a collaboration among the U.S. Department of Health and Human Services’ Children’s Bureau, Office on Child Abuse and Neglect, its Child Welfare Information Gateway, the FRIENDS National Center for Community Based Child Abuse Prevention, and the Center for the Study of Social Policy—Strengthening Families. Its contents are informed by input from more than 35 National Child Abuse Prevention Partners as well as our colleagues on the Federal Interagency Work Group on Child Abuse and Neglect. The involvement of our many partners is critical because this issue affects us all. The problems that children develop due to child abuse and neglect have negative impacts that ripple across the lifespan, affecting children’s chances to succeed in school, work, and relationships. The Children’s Bureau supports the promotion of meaningful and measurable changes in children’s social and emotional well-being and recently completed work on the development of the Administration on Children, Youth and Families protective factors conceptual model. 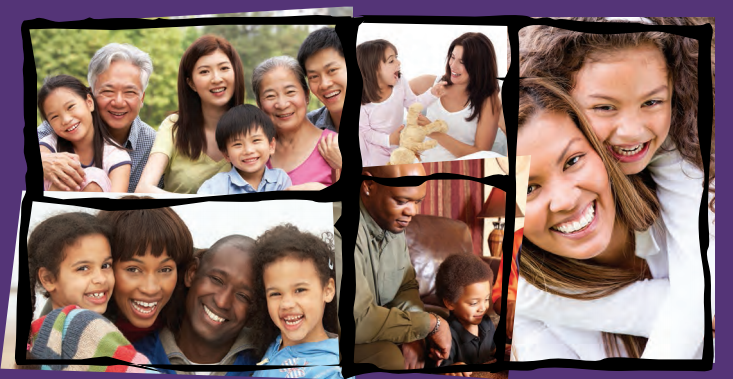 The 2015 Resource Guide plays an important role in these efforts, offering support to service providers as they work with parents, caregivers, and their children to prevent child maltreatment and promote social and emotional well-being. To do so, the Resource Guide focuses on protective factors that build family strengths and promote optimal child and youth development. Information about protective factors is augmented with tools and strategies that help providers integrate the factors into community programs and systems. Agencies, policymakers, advocates, service providers, parents, and other community members will find resources in this book to help them promote these important elements within their communities and families. It has been proven that effective early prevention efforts are less costly to our nation and to individuals than trying to fix the adverse effects of child maltreatment. This Resource Guide provides many strategies to support communities in their efforts to prevent child abuse and promote well-being. We thank you for participating in this important effort and for the work you do each day to build promising futures for our nation’s children. U.S. Department of Health and Human Services’s Children’s Bureau, Office on Child Abuse and Neglect, Child Welfare Information Gateway, FRIENDS National Resource Center for Community-Based Child Abuse Prevention, and Center for the Study of Social Policy – Strengthening Families, with input from numerous national organizations, Federal partners, and parents.